CANAL ORIGINS PARK BOATHOUSE, CHICAGO PARK DISTRICT #571 OPENS! 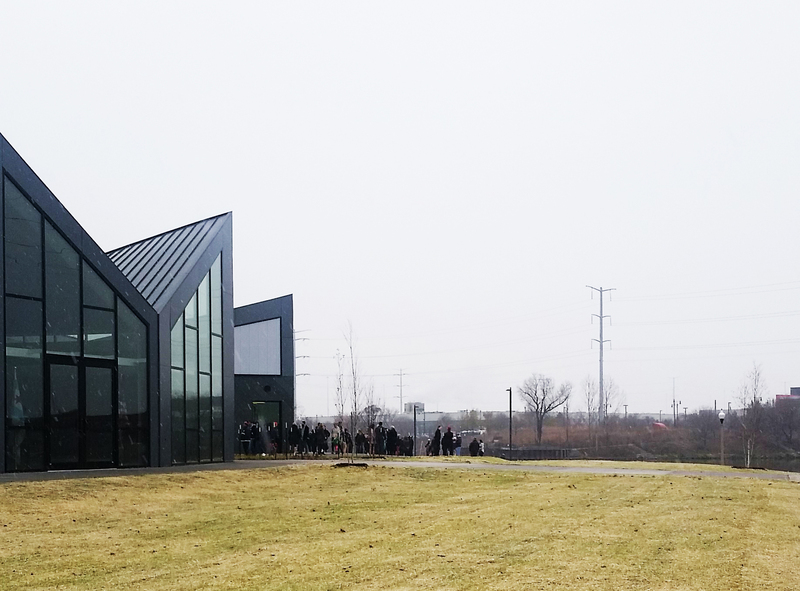 TGDA attended the public opening of the Canal Origins Park Boathouse, aka the Chicago Park District #571, on a cold and snowy Chicago day this past December. The new 3 acre park and boathouse is located in Chicago’s Bridgeport neighborhood and is the final of four new boathouse sites along the Chicago River. Mayor Rahm Emanuel, Chicago Park District Superintendent Micahel P. Kelly and Alderman Patrick Daley Thompson (11th) were all in attendance at the opening. During the celebration, the Mayor said, “The Eleanor Boat House supports the larger movement of ecological and recreational revival of the Chicago River. For too long, Chicago residents were cut off from an asset in our own backyard. So today, we are transforming our rivers from relics of our industrial past to anchors for our neighborhoods’ futures.” TGDA is proud to be part of the Mayor’s Building on Burnham and Our Great Rivers efforts by expanding recreational opportunities on the river through this project.